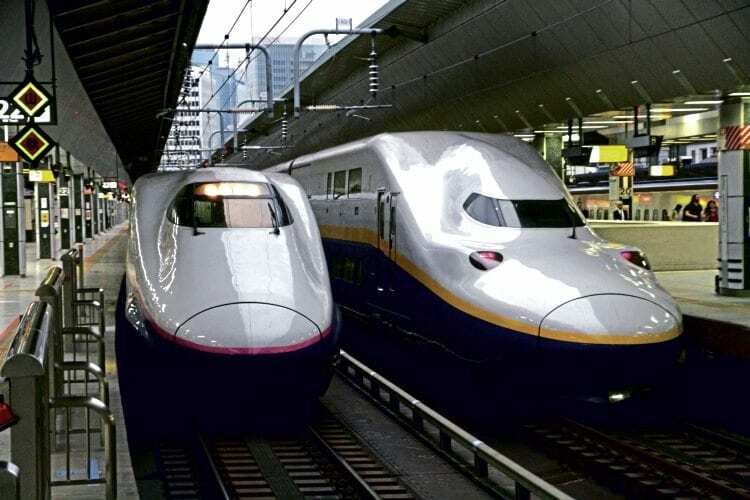 JR East is planning to replace the last double-deck Shinkansen high-speed trains used in Japan with new single-deck ‘E7’ series trains, which are being delivered from 2018 to 2020. Twenty-six of the ‘E4’ series double-deck trains were built between 1997 and 2003 by Hitachi and Kawasaki; each 240km/h train has 817 seats in the eight-car unit (a French TGV Duplex double-deck, eight-car train has only 508 seats). The ‘E4’ series trains are mainly used on the Joetsu Shinkansen Line connecting Tokyo and Niigata as they have been replaced on the Tohoku Shinkansen Line connecting Tokyo and Aomori by new ‘E5’ series single-deck trains. The ‘E4’ series was the second double-deck Shinkansen design; the earlier ‘E1’ series (12-car 1,235 seat trains) were introduced in 1994, but all six sets in the class were withdrawn by September 2012.